Personally I'd be happy with 5 - 6th. The challenge is on for the the average squad players that got bumped up contracts due to our success to actually justify their wages. Their contracts plus the financial shackles of our Stadium agreement gives us a larger hurdle to jump over than most teams, and makes any genuine success unlikely this season. If we do win something, it would be monumental. I suspect it's a season of transition though, with a massive turnaround of players next season - which is always exciting for the fans even if it doesn't bring immediate success. Although our critics that totally discounted our injury situation last season are absolute halfwits. We still have a great starting 13, and with a possible siege mentality gained from criticism from the likes of Schofield - anything could happen. I’d agree with that. 5th or above with the play-off place that comes with it would be good for you, and even 6th is top half and not bad. I agree it is a transitional season, and it’ll be interesting to see how that is managed and what the rebuild will look like. I’m hopeful we’re actually starting a new cycle, but that hope probably clouds my judgement. I think 7th would be good for us and 8th not bad. It’s the least worried I have been during pre-season that i’ve been for a few years. I'm not saying we are the best side in the comp but I think a lot of people are undermining the class we do have on our books. Connor, Kelly, Sneyd, Houghton,Taylor and Westerman who are all big game players. The youth will be better off in the development and the likes of Taylor finally have had a full pre season which is only a good thing. Part of me thinks in hindsight that losing run will be one of the best things that have happened to us because after two successful seasons it brings them back down to earth and reignites that hunger for success. Anything less then 5th is a disaster IMO. Will Mini or Manu move up to prop. Think Mini could be massive. Win a few early on and last season’s run of defeats will be quickly consigned to history, obviously. Even with Pearson downplaying expectations though, if you start slowly there’ll quickly be chuntering about about X wins since June 2018. 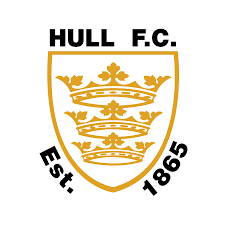 What would you regard as a good season for Hull, and what would be just acceptable, in 2018 - given a ‘normal’ season with injuries and other imponderables? I think like others 5th or above is our aim, I'd take 6th as long as we were in the running for 5th at the back end of the season, just don't want a nothing end like last year. I think we have a decent chance of 4th/5th, but don't think quiet have the quality to win the GF, just lack a bit of pace and a forward IMO, Ive seen some oppisyion fans saying we have a great 17, but not much after, I would disagree with that we have a good 17, which some top quality (If fit) players, but I feel our strength this year in in our squad, I fancy the likes of Masi and Lane to be knocking on the door on the first team, we have players like Washy, Litten, Moulidi, Dawson, Scott, Thompson, Masi, Lane, Griffin and a few others would might not make the 17 if all were fit. The problem for me Dave is we go into the early games without Green and Bowden with Masi once again a starting prop rather than as you say knocking on the door. It also means a starting place for one of the two new young props Levy or Bienek unless Radford goes with Using Thompson once again off the bench as a front row. In any case i can see us using a bench full of forwards and maybe a surprise on the wing. 4 out according to HDM, Green, Talanoa, Westy and Bowden. Swap Tmopson for Levy and I think that's spot on. i am confident that Thompson will start on the bench for our early season games and will be used as a front row rather than using Levy or Bienek. Makes us a bit lightweight in the front row but think we will use a bench of mobile forwards. Unless Griffin makes a big impression in the pre season games i can see him missing out to Langtree unless Radford decides to use his size on the wing instead of Miloudi. Personally always said Griffin would make a much better second row so if he does get a chance in the opening games i hope he takes it. 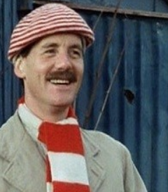 Strapline in League Weekly tomorrow: "Sneyd doubt for derby clash".